Recently I committed two eco-sins that have been bugging me. #1 Mister and I had date night one very busy Saturday. We met for a Frank Sinatra tribute that was not very good and then had a late dinner that was not any better. I have eaten at this particular chain restaurant many times before and have never been this disappointed. My meal was, well, damn near inedible. It was piping hot and unpleasantly cold at the same time. It obviously wasn't fresh. Not that I think anything there is. I have a sneaking suspicion that their food is just reheated. Mine apparently had been reheated many times. The pasta was tougher than my chicken, and the broccoli - at least I think it was broccoli, it was green and resembled broccoli, until I touched it with my fork that is. Then it just turned to mush. eww... Anyhoo, I didn't complain and should have and when the waiter asked if I wanted a box, I said yes and shouldn't have. I am now the un-proud owner of a Styrofoam box, taking up valuable space in my refrigerator, harboring a disgusting food-substance that I am never going to eat. Sometimes it is a hard decision to make - waste food or waste plastic. This should have been an easy one - waste the food. It was not even worth keeping. Coming from the age of "clean your plate", wasting food is not in my DNA. If I do not eat it all I squirrel it away for lunch the next day or incorporate it into another night's dinner. Leftovers are a mainstay in this household. So I brought it home - in a Styrofoam box. Now, had I been a good little greenie, I would have had my TakeOutWithout gear with me, but I am not always a good little greenie. Shocker, I know! #2 This past weekend I was volunteering at a brat sale for the same group that ran the Dairy-Bar-of-Death. They were a little more environmentally friendly this time around, but still were using plastic bags for people to carry their brats home. At least the bags came from one of the women's home and were being reused, only to be thrown away by the recipient I am sure. 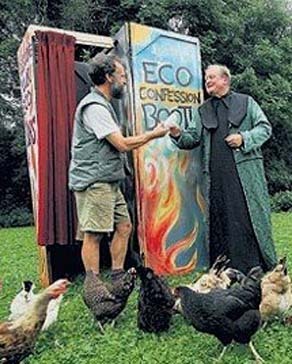 Anyway that is not my eco-confession. No, what I did was worse. Along with the brats were a few baked goods for sale. I try not to eat a lot of junk food, but am a fan of Michael Pollan's food rule #39 Eat all the junk food as you want as long as you cook it yourself. Okay, technically I did not bake these, but they were homemade, that is almost the same thing, right? Right? Except that they were in plastic bags. Ziploc bags! The same Ziploc bags that I swore off back in May. I had not bought any since that day, until Saturday. Yes, I purchased two baked goods that were packaged in Ziploc bags. I have been disappointed with myself ever since, but just now, writing this, I am really mad because I just realized that I was not only buying the baked goods, but the damn plastic bags. Ugh. Perhaps if we looked at our purchases from that vantage point we would consume less plastic and spend less money. Think about it. Would you pay for plastic? Pay for pollution? Hell no, I do everything I can to avoid it! I am sure you do, too. But, when we buy products packaged in plastic our money does not go solely for the product itself. We are paying for the plastic package too. Paying to pollute. You know what the real kicker is? The baked goods were not that good either. Again, not worth the plastic. I think the universe is trying to say something. Are you listening? So glad I'm not the only one who has moments like these. But think about it--HUGE gift here, in terms of affirmation and future. You ate at the chain restaurant, and HATED it. Next time the question comes up, you'll remember, and be more likely to Just Say No. The baked goods--same deal. Your older and habitual self said, "hey, delish, gotta have this!" and you went with it, only to discover, wow, not so good after all. Next time your habitual self comes up with that, you'll remember and go, "naah, not even that hard to resist--my tastes have changed, and it wasn't even that good." I had a similar experience last week, when a group I'm part of had a little impromptu party thing--someone brought what used to be one of my favorite desserts, with ingredients like Cool Whip, boxed vanilla pudding, and chocolate frosting out of a can. I used to love this stuff. And it's creamy and chocolatey and everything in me was like, "OMG! Can't pass this up!" So I had a small plate...didn't much enjoy it. When she brings it again to the Christmas party, I'll remember that I didn't much enjoy it, and hopefully the year after that too...know what I mean? I honestly believe sometimes we have to fall OFF the wagon in order to remember why we got on it in the first place. 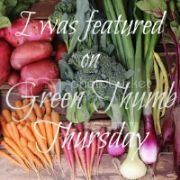 I try to avoid taking food samples at grocery stores for the same reasons -- it usually doesn't taste that great and those little samples almost always generate trash. It requires fighting that initial "free food, I should have some" urge. After awhile, passing up low quality baked goods (whether homemade or store bought) does become a habit.